This book rack has 5 shelves with cord to hold books in place and can hold 30-40 picture books facing forward. It comes with white back and shelves and a choice of 12 bright colours for the sides. 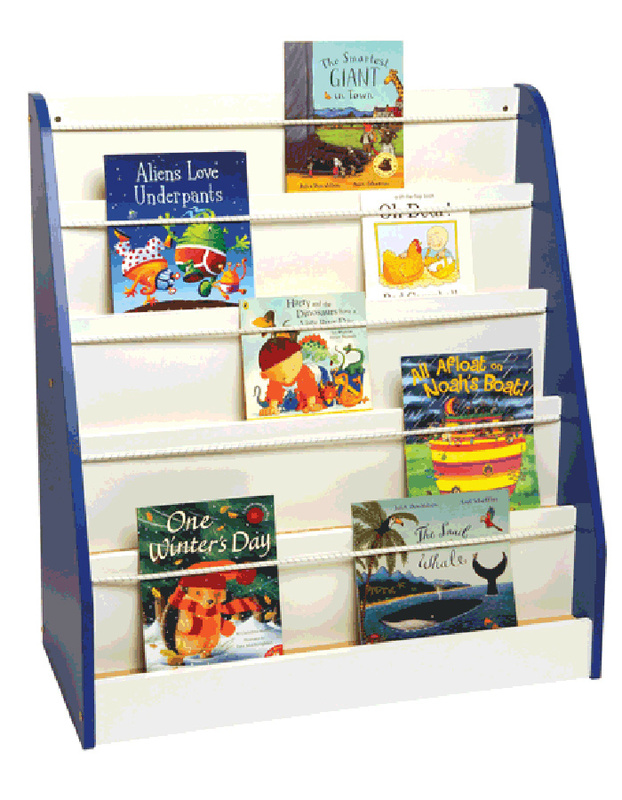 This kinder rack is great for children's book storage in libraries, primary schools and nurseries. Take a look at our wide range of book browsers. For more information please Contact Us or call on 01733 511121.